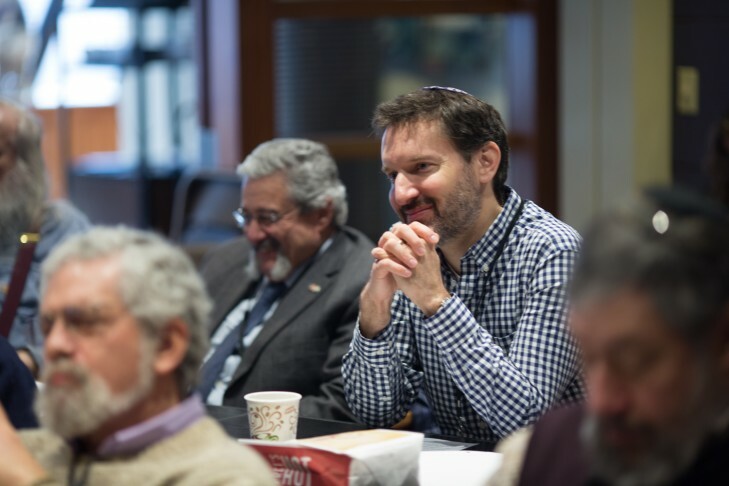 The Jewish Values and Vision of Building and Planting, taught by Rabbi Laura Baum, Associate Vice President, CJP’s Jewish Learning and Engagement Commission, is part of the The Dimensions of Jewish Civic Duty section of The Rabbi Samuel Chiel (zt”l) Genesis Forum. Sessions meet on Wednesdays, 12:00 – 1:15 p.m. Three different locations this year. Bring your lunch and join us for our popular Genesis Forum. This year, we bring ‭the discussions to new sites downtown and in the suburbs. We offer three‬ ‭distinct sections at three different venues. Choose the place and program‬ ‭convenient to you — or join us for all three. We look forward to learning with‬‭you!‬‭‬Photocopies of the texts studied will be provided.Bring your own lunch, if you’d like. Coffee and tea will be available. Register online, by emailing adultlearning@cjp.org, or by calling Stacey Gainey at 617-457-8694. An election year inspires learning and conversation about our shared future and ‭the society we create and uphold. Together, we will explore the call to‬ ‭leadership, the dimensions of civic duty, and our unity amidst difference.‬ Each section covers four topics and their relationship to our theme, Jewish‬ ‭Voices and Visions for Our Shared Future.